Colleen has been a little busy these days! In addition to looking after five young children, working some nursing shifts at McFarland Home in Picton, doing farm and garden chores, helping Andrew with honey sales, volunteering at church and being hospitable to a variety of people, she has been doing the paperwork necessary to become a Canadian citizen, including studying for the citizenship exam. 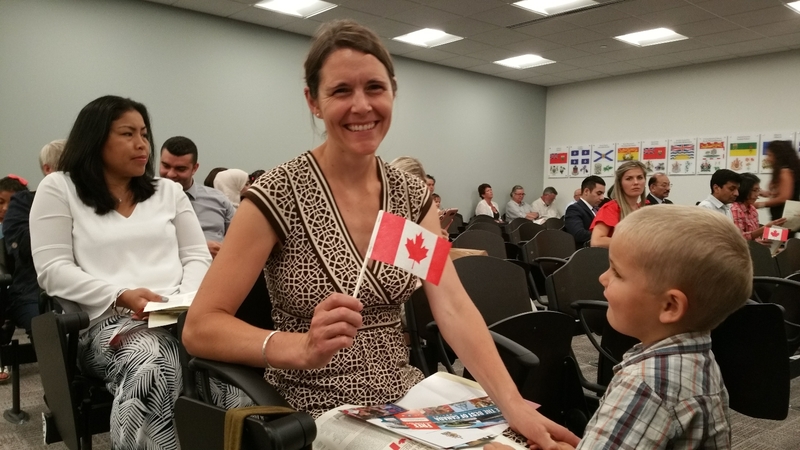 She passed the exam and was invited last Friday to a citizenship ceremony in Ottawa at which she took the oath of citizenship. It all became official! Sheila and I were pleased to be able to attend along with Andrew and the children. It was a great day for the family and we think that Canada gained another great citizen! Colleen with Lukas just before the ceremony began. 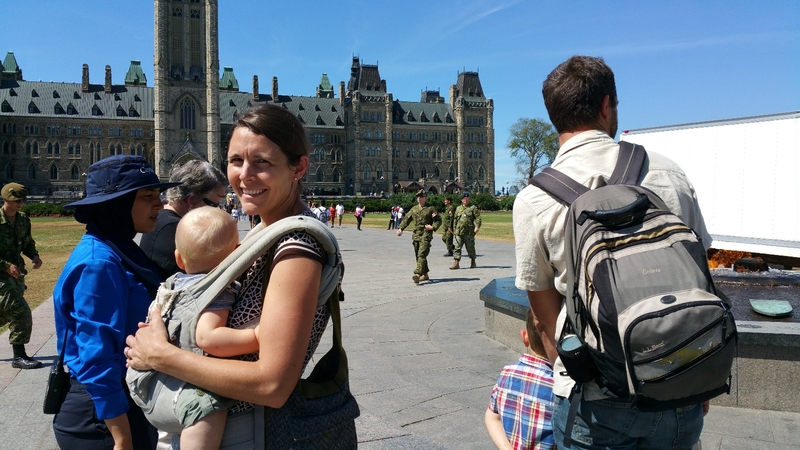 It seemed appropriate to mark the occasion by walking the several blocks from the government office building to Parliament Hill. Thanks for sharing this, Bob and Sheila. It filled in some of the gaps and we really enjoyed the pictures! Congratulations to all of you! 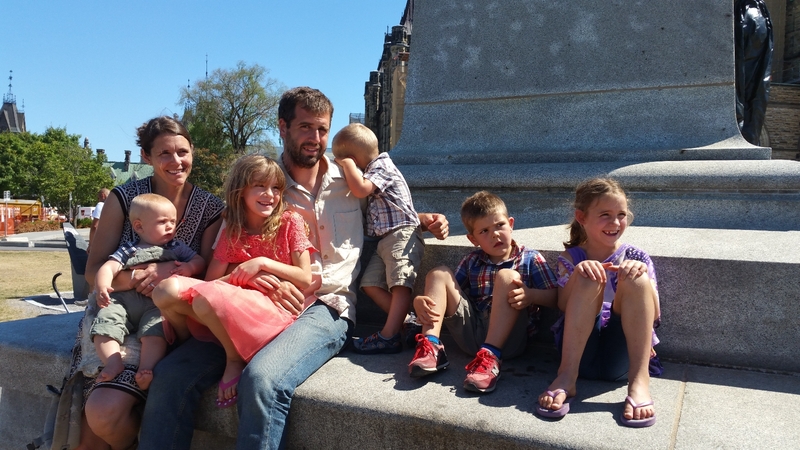 What a beautiful family photo of Andrew, Colleen and all the children. Hope you are all doing well, Bob and Sheila. Congratulations! So much joy! And lovely pictures.